Though it's hard to say for certain what the long-term impact of the U.K.'s Brexit vote will be, one thing is already clear: the silver lining for American tourists. The U.K.'s vote to leave the EU has dramatically impacted the value of the country's currency, causing the pound to drop to a 33-year low. And there's no way of knowing whether, or for how long, that freefall will continue. All of which makes trips to England, (a historically pricey destination), suddenly very affordable, and very attractive, for Americans. "The overall the consensus is that a lot remains up in the air and has yet to be seen when it comes to the fallout from Brexit," says Travelzoo Senior Editor Gabe Saglie. "But the travel sector is one area where there's this immediate potential upside. The pound for years has been a notoriously expensive currency against the American dollar and it's now at 33 year lows. The dollar is now 20% stronger against the pound." It's not only the value of the pound that's dropping, says Saglie. The prices being charged for four- and five-star hotel rooms in England are also plummeting. An upscale, centrally located hotel in London can now be had for about $175 a night, or less, which is typically unheard of. Airline prices may soon follow suit, according to Saglie, who says some sale prices have already popped up. It's now possible to fly to England from the East Coast of the U.S. for a mere $490 round-trip. Prices from the West Coast have also dropped, to about $798. Vacation packages are another area where there's suddenly bargains to be had, thanks to the bundling of low airfares, discounted hotel rooms and other offerings such as meals or venue tickets. Travelzoo has just published a number of Brexit inspired travel deals covering hotels, airfare and travel packages. The swanky, celeb hotspot Andaz London Liverpool Street for instance, is listed for just $171 per night. That's a more than 45% savings on the five-star hotel. 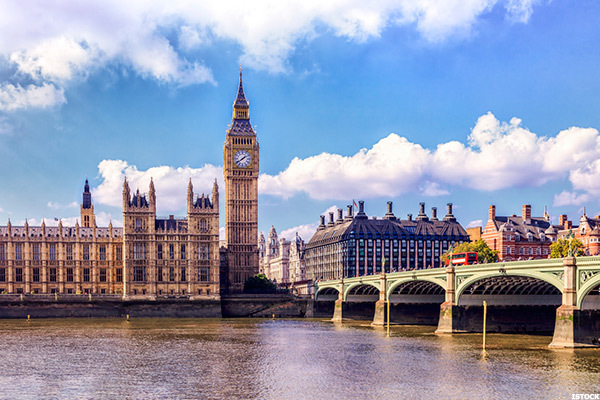 Another stunning bargain just posted on the site offers a four-night London escape for just $699, a price that includes airfare, as hard as that may be to believe. "The uptick is almost exclusively for the American traveler, because when you look at our currency compared to others, we are in an enviable position now against the pound," says Saglie. "In the travel industry some of the best values you're going to find are borne from mishaps. That's just the reality and in this situation the American traveler happens to be in a position to benefit." Americans seem to be keenly aware of this fact. Immediately after the vote, there was a 30% increase in searches on Travelzoo for deals in the U.K., as compared to the same time last year. And since then, the increase in searches has risen as high as 70%, year over year. Hotels.com has also reported astonishing increases in Americans seeking U.K. deals on their site. The company reports that searches are up more than 50% year-over-year, and hotels are now available for half off their 2015 prices. Even searches for British locations outside of London are spiking, according to Hotels.com. There has been a 227% increase in traffic on the site for hotels in regional U.K. north and a 192% increase for Bristol, England. Other U.S. travel companies are taking notice of the way Brexit has turned the tide when it comes to U.K. travel and are busily working to catch up. Historically, smarTours, a U.S. based vacation tour company focused on bargains, has not offered trips to England because it was not possible to provide clients with value at a reasonable price. But the Brexit vote caused the company to change that stance. "smarTours has sent nearly 200,000 travelers across the globe since 1996, yet we never had a trip to England. It's perhaps the most glaring omission in our portfolio of trips," says Greg Geronemus, the company's co-CEO. "It's one of the great destinations in the world, yet we have always struggled to find a way to offer England in a way that's sensibly priced and in keeping with the smarTours commitment of offering affordability and value. However, Brexit has changed the equation completely. England will now be dramatically more affordable." In the days after the Brexit vote, smarTours began receiving calls from longtime clients wanting to know if the company will begin organizing trips to England now that the Brexit vote has reduced costs. Negotiations are now underway for smarTours trips that will likely take place in 2017, Geronemus says. Bargain prices for American travelers are the most obvious impact the Brexit vote has had on the travel landscape, but there's also likely to be other unexpected impacts, according to Travelzoo. A survey completed by the global travel deals website prior to the Brexit vote found that European tourists would be hesitant to continue traveling to England if the country ultimately voted to leave the EU. 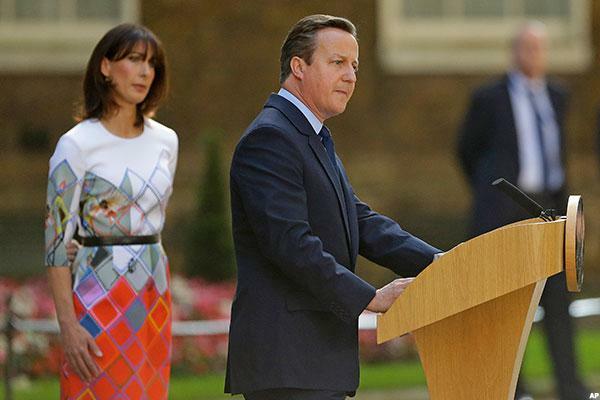 The survey predicted European tourists to the U.K. would drop by one-third because of the vote. Travelers from Germany, Italy and Spain and France who participated in the Travelzoo research said they would be less inclined to vacation in England in the event of a leave vote. In particular, four in ten respondents from EU countries expressed concern that Brexit would make U.K. holidays more expensive. 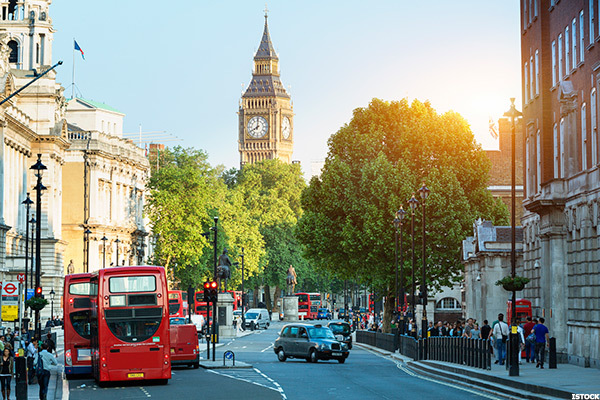 Travelzoo predicts that hesitation from EU travelers could cost the U.K.'s tourism industry as much as 4.1 billion pounds a year in international tourist spending. There's also some concern that the international student population flowing in and out of the U.K. each year may be impacted by post-Brexit changes, according to Dan Baker, Head of U.K. marketing and business development for StudentUniverse. "W​hen you consider that international students are included in the net migration figures for the U.K., and the importance of the immigration debate in Britain choosing to leave the EU, there's a fear that the government could choose to reduce valuable international students to meet headline targets. That would be a disaster on both an economic and educational level for Britain," says Baker. At least one travel segment, however, has barely noticed the Brexit fuss - and that's the world's ultra wealthy, including America's most affluent travelers. Anthony Lassman, co-founder of the London-based Nota Bene Global, a private company catering to high net worth individuals, (with 70% of its client base coming from the U.S.), says Brexit hasn't even been a blip on the radar. "The higher up in the market you go, the more insulated people are from things that are going on," says Lassman. "The very wealthy are generally on their yachts, in their villas... I haven't come across one person cancelling travel. We have people right now going to all of the usual watering holes. The ones going to boats and villas are fine, and if security comes into play, they will charter a private plane." The mood on the ground in London, however, is a different matter, says Lassman. From employees in the financial industry to those in politics, there is concern over the present and the future. "I would say it's polarized," Lassman continued. "People in financial industry are obviously concerned, worried that many years of really good work, building something strong, stand a chance of being spoiled. Other people feel if we have the right politicians in place, we can sort this out. The mood in London at the moment is uncertainty, very much focusing on who is going to be the new prime minister and then on trying to get something sorted out, and hopefully it will not drag on." Meanwhile, average American travelers, who enjoy a good bargain, should act sooner rather then later, advises Saglie. Because over the coming months and years many of the trade and travel agreements surrounding the U.K. will have to be rewritten in light of the Brexit vote and prices, as well as many other things, are likely to change. "When the open skies agreements are reworked and as airfare agreements get tweaked, it could affect a number of routes available out of the U.K. to the E.U., or the number of flights available and flights might not be as cheap as they are currently," says Saglie. "Overall I think from the value perspective, now is time to go."